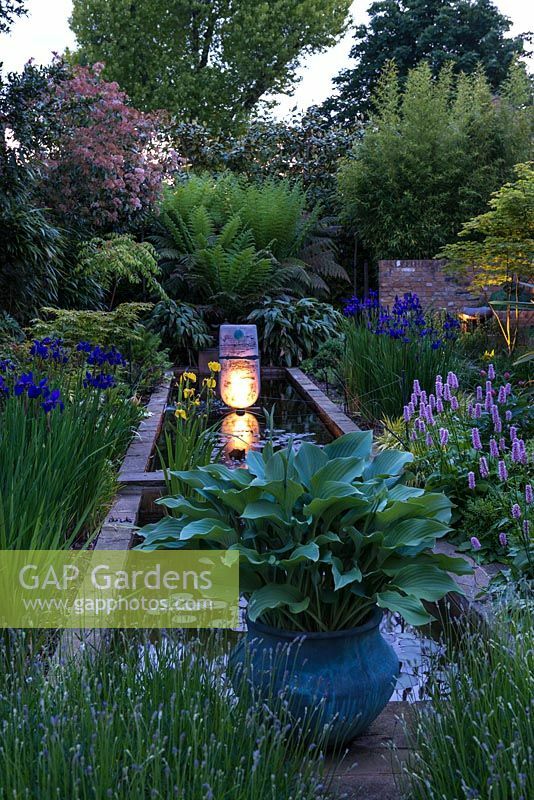 Lit at night, long pool edged in hostas, lavender, Hakonechloa macra, Persicaria bistorta Superba, Iris sibirica Caesar's Brother and male ferns. Left border - maple, bamboo, Koelreuteria paniculata, huge flowering photinia. Pond sculpture by Peter Hayes.